Thank you to everyone who entered this year’s #BlingYourBooth contest! We received dozens of entries and are so impressed by the creativity and enthusiasm of all of these cookie-bosses. Now, it is time to rally your friends and family to vote! All of the entries have been uploaded to our Facebook page and are part of the album: #BlingYourBooth Challenge 2016. Tell your friends and family to vote for your entry by simply clicking “like.” The photo that receives the most likes by March 1 at 9 a.m. wins! For my Gold Award Project, I addressed the need for low water landscaping through adding an educational aspect to the Community Heroes Crevice Garden at the Apex Simms Street Center. In addition to fundraising for and purchasing a bench, I also designed and purchased an educational sign and a website domain (www.communityheroesgarden.com). The website provides information on my Gold Award project, crevice gardening, and information specific to the Community Heroes Crevice Garden. I measured the impact of my Gold Award project through a brief survey accessible from the website, as well as a website hit counter on the homepage of the website. All of the responses from the survey showed an increase in knowledge about crevice gardens, and most people surveyed responded that they would be more likely to create a crevice garden in place of a traditional garden in the future. In the time the website has been public (since September 30), there have been 690 views on it (as of February 10, 2016). After my involvement, my project will be sustained by the Apex Parks and Recreation Department and Rocky Mountain Chapter of the North American Rock Garden Society, which has over 300 registered members. Both of these organizations have committed to keep up the garden, with Apex doing general ground maintenance, and RMC-NARGS continuing to plant and maintain the plant garden and website as a whole. The Community Heroes Crevice Garden has also received permission to use Jefferson County Open Space funding. I created a public website that is visible to anyone, and can be accessed anywhere. The website is www.communityheroesgarden.com. I have also contacted the department heads at Parks and Recreation departments in the area, and shared my project and the website with them, so that they, if they choose, can implement the idea and further share it in their communities. I shared my website and project with family members who live in other states, and they have shared the website further. I have received survey responses from Colorado, New Mexico, California, Florida, and even Victoria, Canada. 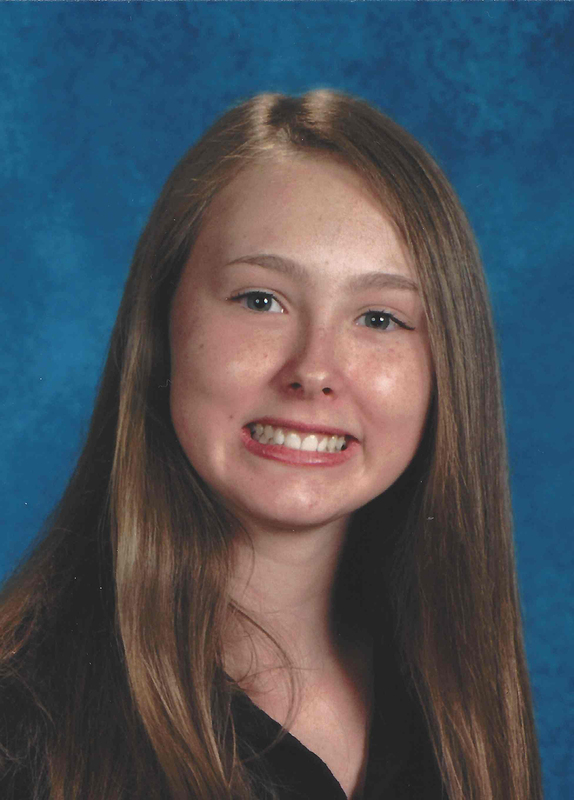 I presented my project to the Apex board on December 10 and was the first Girl Scout who had done so. The North American Rock Garden Society has also included the Community Heroes Crevice Garden in a national brochure that they published. I have also written a blog post, “Unknown Crevice Gardens”, to further share my project. In addition, The Colorado Water Conservation Board listed the Community Heroes Crevice Garden as a xeriscape demonstration garden on their website, along with a link. Throughout my project, I learned that I need a time plan to keep myself accountable and make progress on a long term project. I learned how to communicate with multiple organizations and companies, and how to coordinate an event. Also, I learned that I can be a good leader. Earning my Gold Award will provide me with essential communication and collaboration skills, as well as the ability to successfully budget. Also, completing the award gave me the confidence to know that I can accomplish anything. 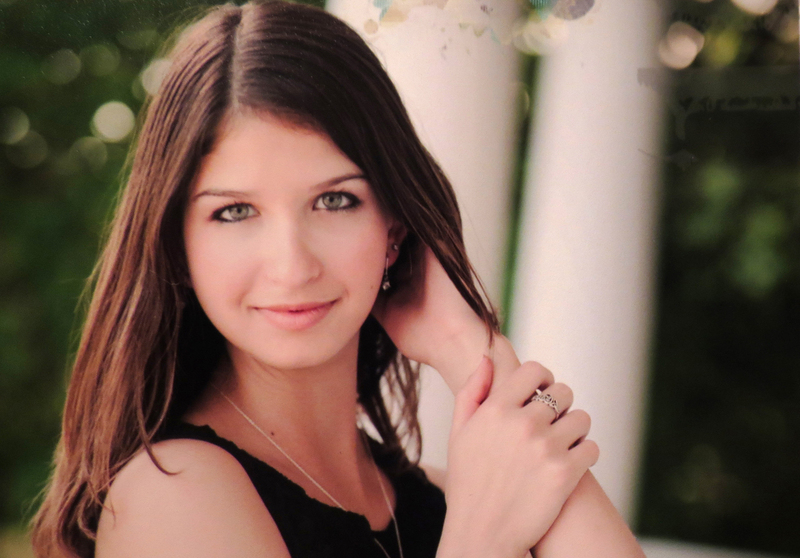 The Gold Award was a huge part of my Girl Scout experience; it took many of the skills and abilities I have learned from 10 years of Girl Scouts, and allowed me to apply the knowledge to create an amazing addition to the community garden. It was a great cumulative experience, and I will continue to hold the memories of my project as some of the best in my Girl Scouting career. I created a project that provides teddy bears and made no-sew blankets to the Castle Rock Fire and Rescue and Castle Rock Police Department. Both organizations will distribute my items during emergency situations in order to offer comfort to people involved in traumatic situations. Each blanket has a tag which identifies this as a Gold Award project and contains a link to a survey which people who have received my items can complete, if they choose to do so, which asks if they felt comforted by the item. Contacts at the CRFD and CRPD have agreed to provide feedback from their responders regarding how victims reacted upon receiving a teddy bear and/or blanket. The Meadows Neighborhood Board of Governors has agreed to make Community Comfort an annual event for the Meadows. The BIONIC (Believe It Or Not I Care) group at Castle Rock Middle School has agreed to take over my project. My national connection was to research other projects that are taking place throughout the country that are similar to mine. For my global connection, I established contact with a Girl Guide Leader in the United Kingdom who had earned her own Gold Award and knows of groups in the United Kingdom who wish to start a project in similarity to mine in their area. I learned that I am capable of doing a large project such as a Gold Award project, and that I am able to inspire others to do community-benefiting projects of their own. Additionally, I now know that I cannot do everything by myself, and that it is okay to ask others for assistance. I know now the importance of time management and better understand how to best manage my time, a practice I will be using at college. I also will continue to do volunteer service and community-based projects in order to help others as I have through my Gold Award. I am also more confident in my abilities for public speaking and interacting with those in authority or administration, a skill that will greatly benefit me in my future. Ever since I was a Daisy, I have wanted to earn my Gold Award. I believe that through my project, I have a greater understanding about my community and myself, and have learned very useful and important life skills which I may not have earned if I did not complete my Gold Award project. Join us as we celebrate Girl Scouts’ 104th birthday, along with brave, incredible women who have led the way for today’s generation of young women. When: Saturday, March 12, 2016 * 10 a.m. – 4 p.m. Here are some resources to help you and your troop plan your trip downtown. Consider alternative transportation, such as public transportation provided by theRegional Transportation District (RTD). The Library is located within short walking distance from the Civic Center RTD station. This year, the Colorado Women’s Hall of Fame is hosting an exhibit of their 146 inductees, 39 of whom are Girl Scouts of Colorado Women of Distinction. 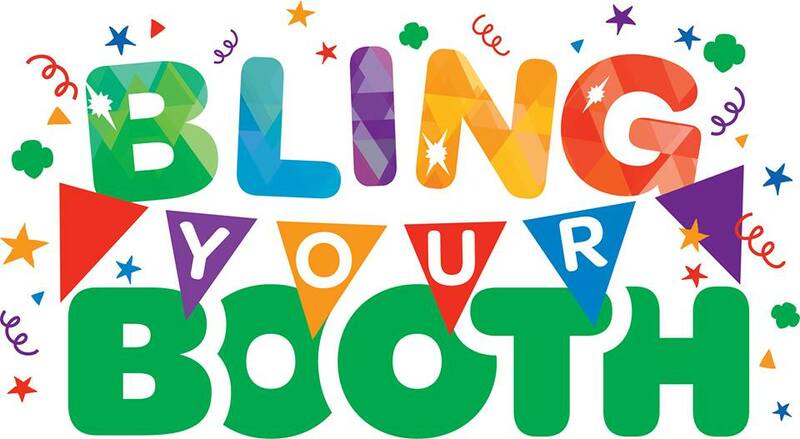 The exhibitors have generously extended an invitation for Girl Scouts of Colorado to host activities during Girl Scout week. All girls in attendance will receive a special event patch. 11:30 a.m. : Sing-A-Long with GSCO Songbirds choir! 12:30-3:30 p.m. 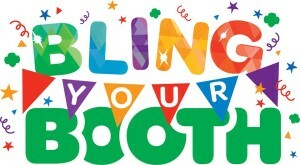 The Girl Scout Way Badge workshop for Brownies, Juniors, Cadettes, Seniors, and Ambassadors. Come celebrate and complete requirements towards this fun badge. Daisies are welcome to join the fun, too! Stop by for anytime activities including birthday refreshments, tours of the Women’s Hall of Fame exhibit, badge earning opportunities and service projects. Also, see the GSCO archives roadshow and meet the History Committee! 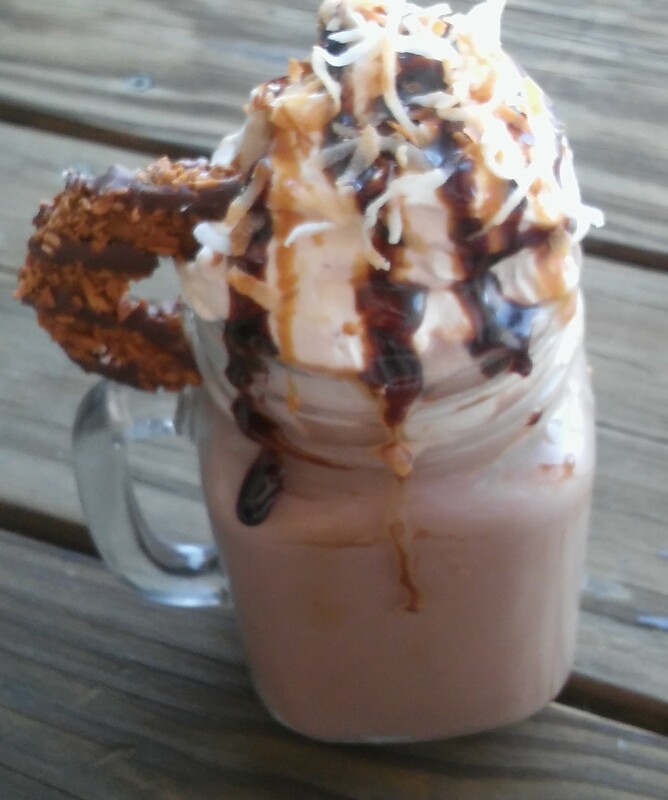 Bring your own Girl Scout memorabilia to be identified by the committee! Usually people have some resources to get food but do not know enough about healthy eating. For my Gold Award Project I focused on helping kids learn where food comes from and about healthy options. To do that, I created an educational program for Metro Caring that was geared to teach kids about food and sustainable crafts. Metro Caring is one of Denver’s largest food assistance programs. It has a fresh food shopping market for low income people at no charge. To help it have available fresh food, it also has gardens for vegetables. Every day Metro Caring distributes food, baby items and personal care products to an average of 70 people. In 2015, Metro Caring completed construction on n a new building. The new building includes a learning area for kids, as well as a classroom for Metro Caring to teach adults about healthy foods. My program is to provide kids a learning activity while their parents are either shopping in the food market or attending a class at Metro Caring. Hunger is a world problem. By starting with kids at a young age you can teach them how to work with what they have or learn to improve things to eat a little at a time. Once they understand healthy eating, they can spread the word to their parents and others. They may even grow to help others learn what they did. Hunger is everywhere but with these classes maybe a few more people will be able to improve their eating. My project will be sustained by volunteers at Metro Caring. I have prepared 15 lesson plans for Metro Caring to use for children’s activities and put together supplies for the activities. I copied the lesson plans and put them into three notebooks to make it easy for volunteers to use and add new ideas. I wrote an article about my project for the Metro Caring newsletter so that their volunteers and supporters can learn more about the work I did for my Gold Award. The article was published and is a way to let volunteers know how they can help with the program. I am going to also write a similar article for the Kirk (my church) newsletter for members who might want to do something more at Metro Caring. When the supplies were delivered, Metro Caring was excited and the new volunteer coordinator believed there were several volunteers who are retired teachers that would be interested in doing the classes. In addition to my article in the Newsletter, the coordinator plans to recruit volunteers to teach. Around the world there is approximately 925 million people who are under nourished on a daily basis. This means they get less than 2,100 calories a day. This despite world being able to produce enough food to feed everyone. Closer to home, more than 200,000 children in Colorado live below the poverty line. Also, more that 25% of working families in Colorado do not have enough food by the end of the month. Although Metro Caring is working to address these food needs, they do not have a program to help children understand food, what is good for them and how they can create things from other things. 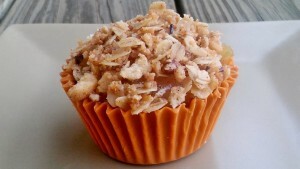 My Gold Award project focuses on children and their understanding of food. 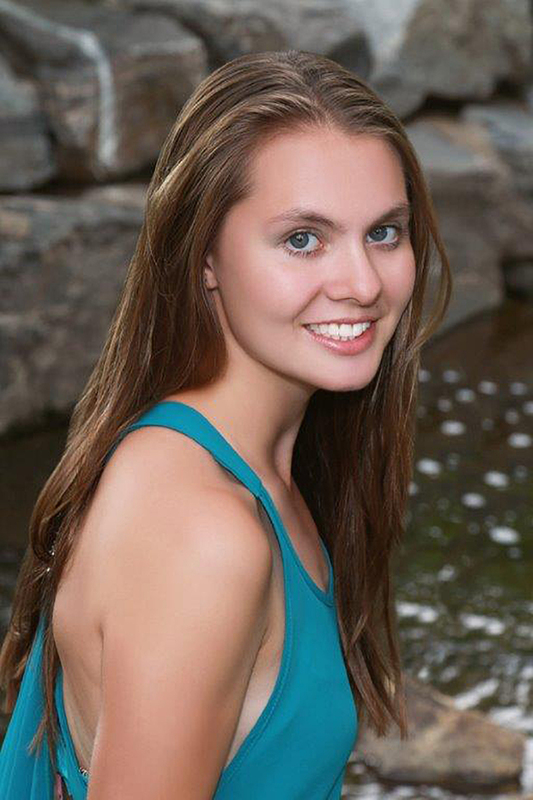 My Gold Award project taught me about what I could do—to have courage to lead and to learn at the same time. It also taught me the importance of self-confidence. This was a big project. I put it off for a long time because I did not know what to do. Once I got started though, I figured out I could do it as long as I kept things moving forward. Also, I learned the importance of communication. I needed to keep Metro Caring more informed of my progress. Then when I taught the kids, I learned I had to adjust my lessons based on the age of the kids or if they spoke English. Finally, it taught me that I can make a difference in the world. Having made this project work, I suspect I will be more open to leadership positions because of the self-confidence I gained while working on my Gold Award. I learned to accomplish new things, such as new projects to help others, and I may even find a new idea that I want to develop further in my future. Earning my Gold Award, has given me a sense of pride that I will not hesitate to mention to others. I also think it will help open doors to other opportunities. Ever since I joined Girl Scouts, I have wanted to get my Gold Award. The reason being that my brother was a Boy Scout and was doing a ton of fun things. So I though in Girl Scouts I could do the same things and I did. We went backpacking, canoeing, camping, spelunking and more I had a ton of fun. But then my brother started working on his Eagle project and I wanted to do one to. So I looked at what Girl Scouts had to offer and I found the Bronze, Silver and Gold Awards. So I started working on them. The Bronze was fun and we did it as a troop. The Silver was more interesting doing it on my own with help from my mom. Then it was time I was old enough to do my Gold Award. I choose something that I wanted to have an impact on and change. The experience was great and it taught me a lot. It was a lot of fun and was a good way I felt to graduate from Girl scouts to being a Counselor. 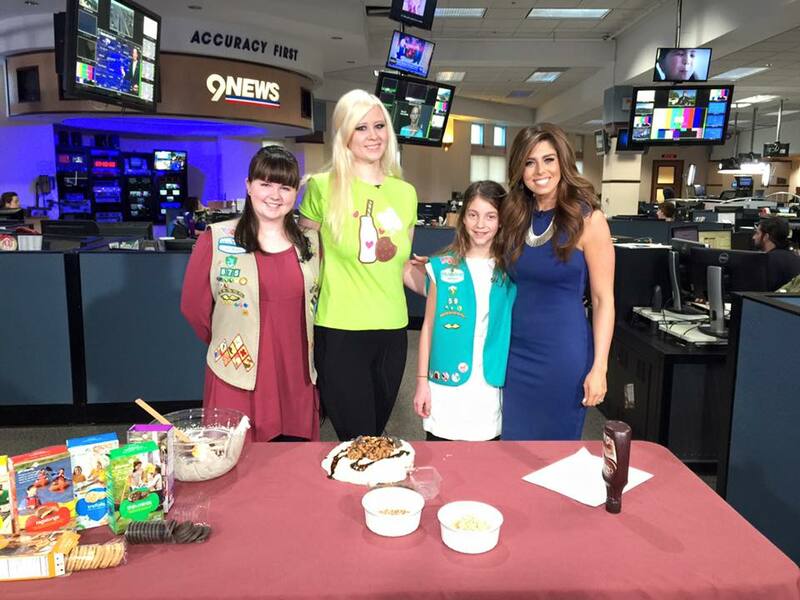 To help promote the 2016 Girl Scout Cookies sale, Crystal joined Media Stars Anna and Mika for an interview with Corey Rose of 9News/ KUSA-TV. Girl Scouts showed Corey how to make Crystal’s “German Chocolate Ice Cream Cookie Torte” and talked about the sale. To watch the interview, click here. 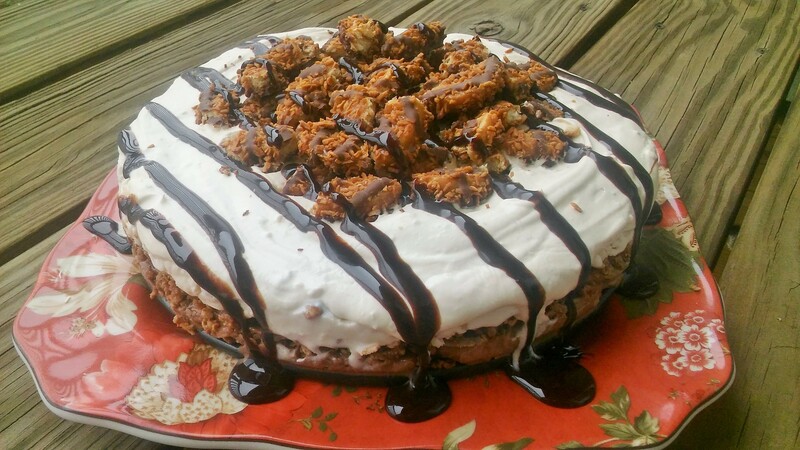 Click the links below for Crystal’s “German Chocolate Ice Cream Cookie Torte” recipe and other recipes she created using Girl Scout Cookies. 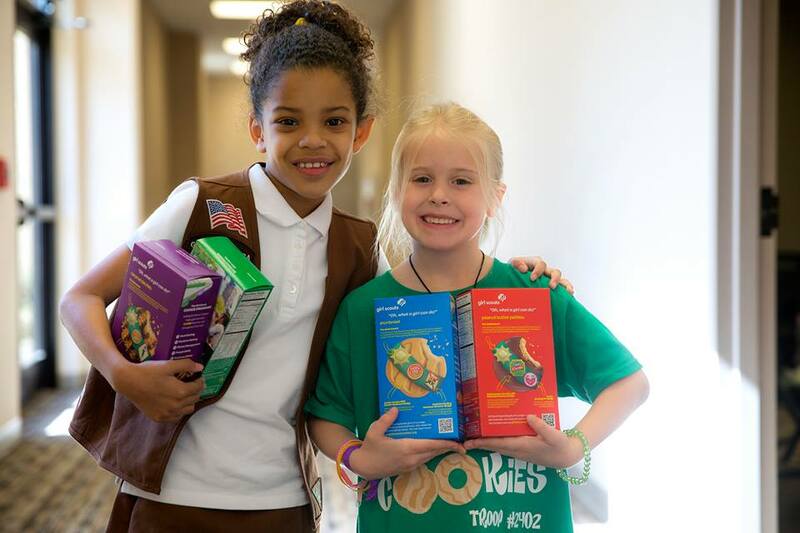 Colorado Girl Scouts can donate cookies to be sent to the military thru Hearts Across the Miles while families can submit names of deployed service members to receive donated cookies. 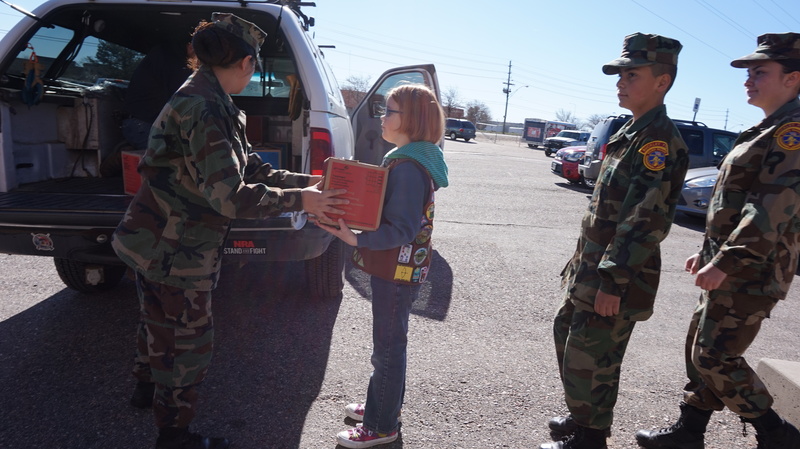 Girl Scouts of Colorado is partnering again this year with Hearts Across the Miles to send donated cookies to deployed service members. Any troop or Girl Scout who would like to make a reservation to drop off donated cookies or who is interested in helping pack up the cookies for shipment to deployed service members, please email hatm@gmx.com. Reservations must be made for cookie donations. The packing day will be Saturday, March 19th from 9 a.m. – noon at Rangeview High School (17599 E Iliff Ave Aurora, CO 80013). 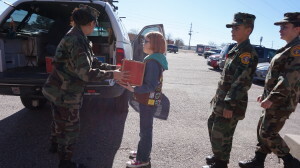 Girl Scout families in Colorado can also submit the names and addresses of family members who are deployed service members to Hearts Across the Miles and the organization will ship donated cookies to them. The addresses must be APO addresses. Please email the info to hatm@gmx.com no later than March 11th with that information. If there are any issues with the hatm@gmx.com email not working, please email mart1k@yahoo.com. How will you CONNECT this World Thinking Day? One of our favorite days of the year, World Thinking Day, is coming up fast on February 22, and we’re soooo excited! Every year (since 1926!) we use this day to rally our global sisterhood and support girls as they travel internationally, connect with sister Girl Guides, and take action on global issues to make the world a better place like only Girl Scouts can. This is a day to give thanks for the inspiring international friendships that we as Girl Scouts are a part of, and to celebrate the many ways these friendships enrich our lives, expand our worldviews, and drive us to create meaningful change for everyone. This year, we encourage you to use this day (and every day!) to connect with your Girl Scout “forever friends” by donating to the Juliette Low World Friendship Fund, supporting girls as they build incredible global skills through eye-opening, awe-inspiring travel experiences. But why stop there? There are tons of other fun and creative ways to connect this World Thinking Day, and to share friendship and adventure on a global scale with so many amazing girls and women! 1. Make new friends! Hold a “bring a friend” event with the girls in your troop or group. You might plan a trip to a local park or museum and have each girl bring someone to join in on the fun. Make sure to think of some cool games everyone can play to get to know one another better! 2. Spread good vibes! Send positive messages to Girl Scouts and Girl Guides all over the world by posting to social media with the hashtag #WTD2016. Let them know how much they’re appreciated, and encourage all your followers to donate to the Juliette Low World Friendship Fund! 3. Honor through service! Get together with a group of family members or friends and plan a service project to honor all the amazing things Girl Scouts and Girl Guides do for their communities every day. Share a fun pic on Facebook and Instagram, along with a summary of what you did. Don’t forget the hashtag #WTD2016! Have a cool idea for connecting this World Thinking Day? Share it with us on Facebook and Twitter today! 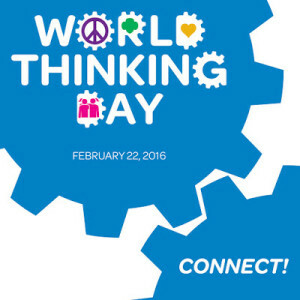 And if you’d like to earn your very own World Thinking Day Award, check out more awesome activities you can do.